Sir Charles Bell--anatomist, surgeon, physiologist, natural theologian--was the youngest of four sons. While still a student at the University of Edinburgh, he taught anatomy and published A System of Dissection Explaining the Anatomy of the Human Body, which showcased his extraordinarily accurate illustrations. He later published volumes of Anatomy of the Human Body with his brother, well-known surgeon John Bell. Charles' surgical success at the Edinburgh Royal Infirmary and John's popular anatomy classes--and outspoken criticism of the suffering inflicted by incompetent surgeons--led to jealous opposition from local physicians. Eventually the two brothers were barred from practice and teaching in Scotland, and in 1804 they moved to London and opened a private surgery and school of anatomy. In 1811, Charles published Idea of a New Anatomy of the Brain, now considered the "Magna Carta of neurology." After John's death in 1820, Charles continued to teach and conduct research. 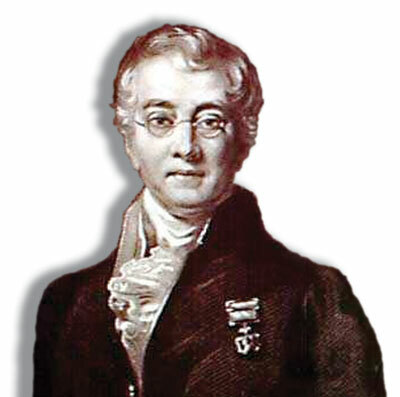 He was also a surgeon at the Middlesex Hospital, helping to found its medical school in 1828. From studying the human body, Bell realized how dependent people are on involuntary physical processes. He saw close-minded reliance on reason as not only ignorant, but "worse than ingratitude." He was familiar with uniformitarianism, which influenced the development of Darwinism. Bell thought science should be allowed to follow the evidence--even if it leads to a supernatural origin. Bell was made a fellow of the Royal Society in 1826. He later received its first medal, and in 1831 was knighted by King William IV. At age 62, he returned to his homeland as a Professor of Surgery at the University of Edinburgh. His death six years later marked the end of a groundbreaking career in medical science and a humble witness to the intelligent and benevolent handiwork of the Creator. The Bell-Magendie Law states that the anterior branch of spinal nerve roots contains only motor fibers and the posterior roots contain only sensory fibers. Bell, Sir Charles. 1852. The Fourth Bridgewater Treatise on the Power, Wisdom, and Goodness of God as Manifested in the Creation: The Hand; Its Mechanism and Vital Endowments as Evincing Design, 5th ed. London: John Murray, 1. Cite this article: Dao, C. 2008. Man of Science, Man of God: Charles Bell. Acts & Facts. 37 (6): 8.